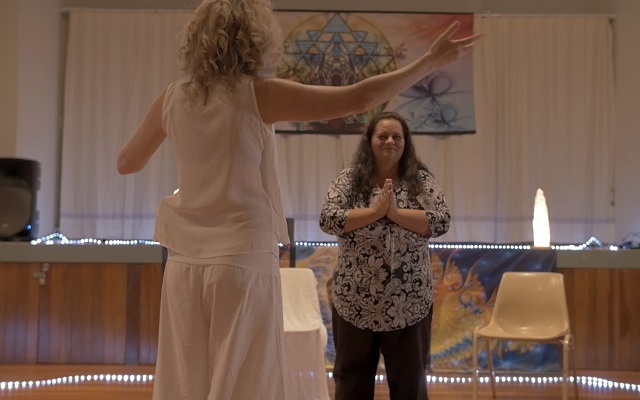 Join us Sunday the 17th of December on the Gold Coast for a Channeling of the Healing Heart with Trance Medium Lyza Saint Ambrosena. Lyza surrenders to the Divine Light that works through her for healing & guidance. There are very few mediums who fully incorporate healing spiritual healing presences and are able to walk, talk and function interacting with persons who are present. Lyza channels many Divine and Angelic beings who are here to support the transformation of human consciousness into a new dimension where love and integrity are easily and gracefully achieved. 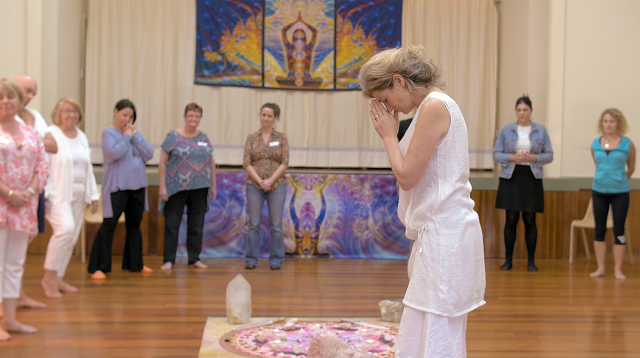 The energy is tangible and can be felt by those in the room and is transmitted through media (sound and video) to people on the other side of the world. Mediumistic control means a sharing of mental and physical energies between the medium and spirit communicator or operator. Control signifies a telepathic rapport between the two. How strongly in rapport they are determines the degree of control. Control can range from inspired thought, to conscious control, to light trance, to deep trance, to very deep trance. It all depends upon the work at hand and the mental and physical energies available to the spirit communicator or operator, in this case Lyza. Lyza is an open eyed trance medium who channels Soul healing energy to open up your ow divine guidance and intuition, assisting with clarity. peace, freedom and direction. Now this is a recent clip with Lyza channeling “the little one”. You can see how much she has progressed with the work.